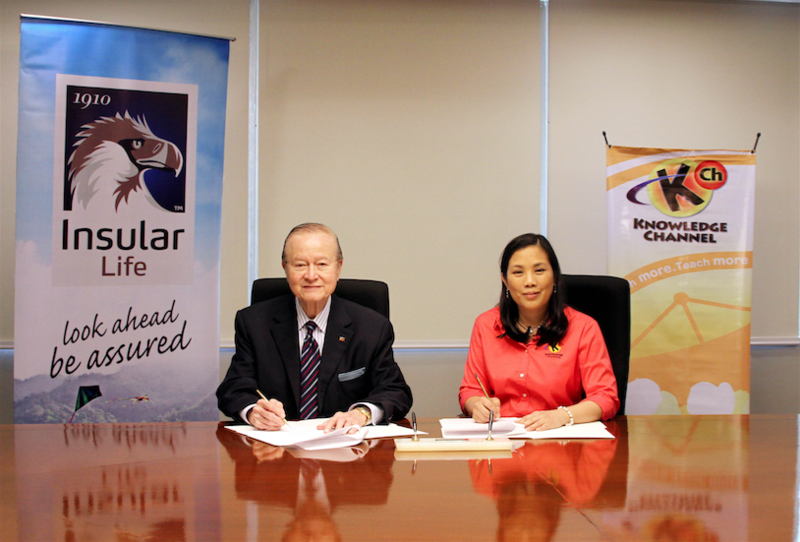 Insular Life Chairman of the Board and Chief Executive Officer Mr. Vicente R. Ayllón and KCFI President and Executive Director Rina Lopez-Bautista during the MOA signing, December 2015. Financial Literacy will be made fun and interesting as Knowledge Channel Foundation, Inc. (KCFI) and Insular Foundation partner to produce an episode that will focus on Macroeconomics. The said learning video for Grade 9 will also present the basic concepts of income, savings and consumption and will teach the youth to invest for a brighter future. In 2013, Insular Foundation also tied-up with KCFI and sponsored a Learning Effectively through Enhanced Pedagogies (LEEP) training for 15 schools- two of which are from Lipa City and the rest from Batangas City. Each of the beneficiary schools also received a K Channel On-Demand package for K to 12- including a laptop preloaded with K Channel’s curriculum-based educational videos and games, and aLED TV and speakers- ensuring that teaching approaches result in effective learning as well.